Happy Thursday, yall! This post is a long time coming. 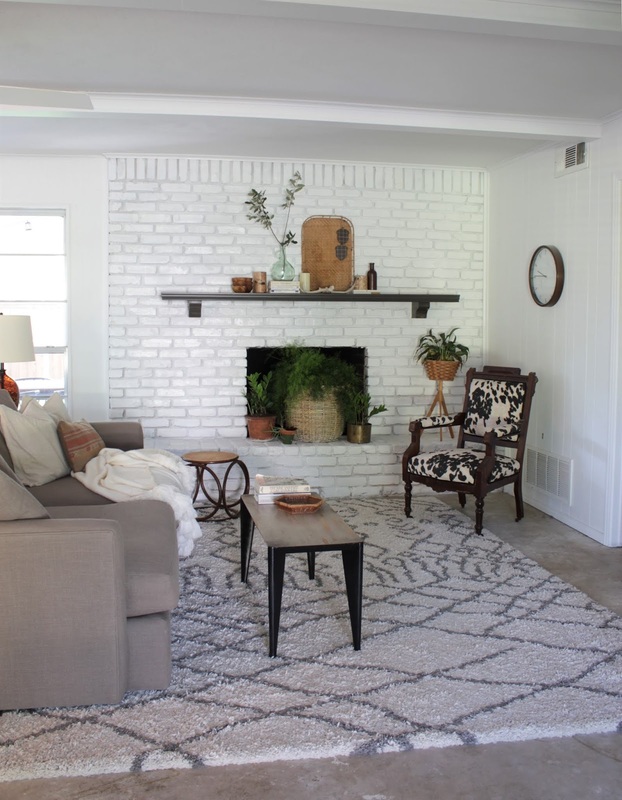 It's about how I painted our fireplace. When we first painted the living room, I left the fireplace alone. 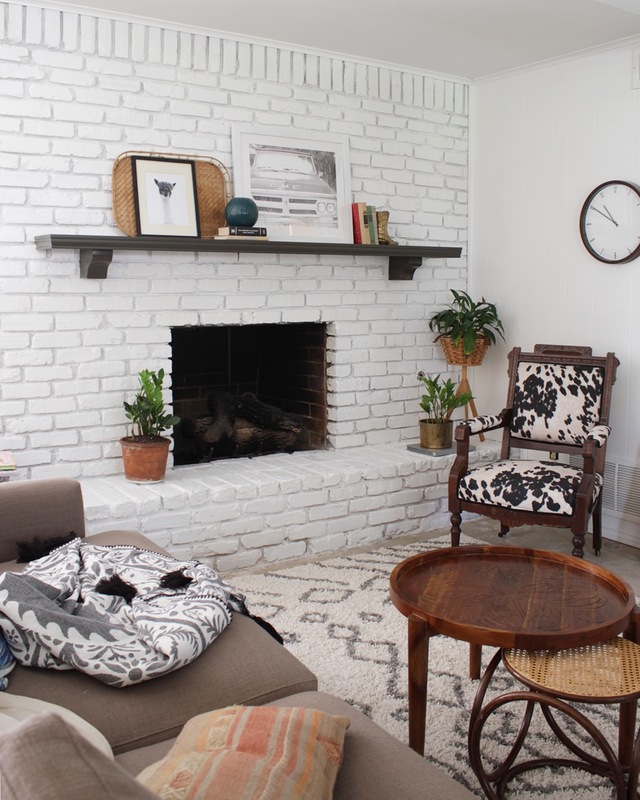 The brick was a nice color so I thought I'd just see what the white room looked like leaving it unpainted. Nope. It lasted about a week. Our living room stays pretty dark and it was quickly apparent that a white fireplace was what it needed. Honestly, I would have dragged my feet a lot longer if I had had to paint all those mortar lines with a regular paint brush. 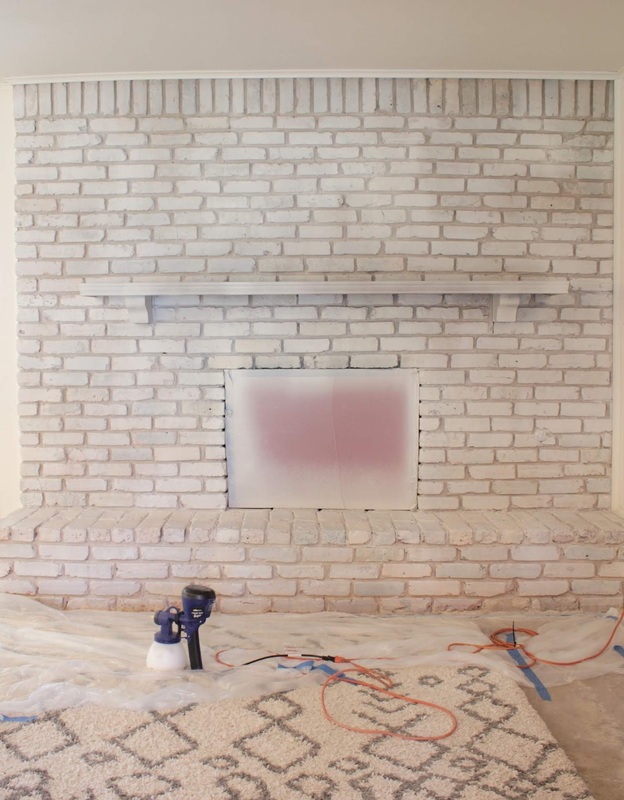 Thankfully, my friends over at HomeRight were awesome enough to send me a paint sprayer which is precisely the reason the fireplace is DONE. 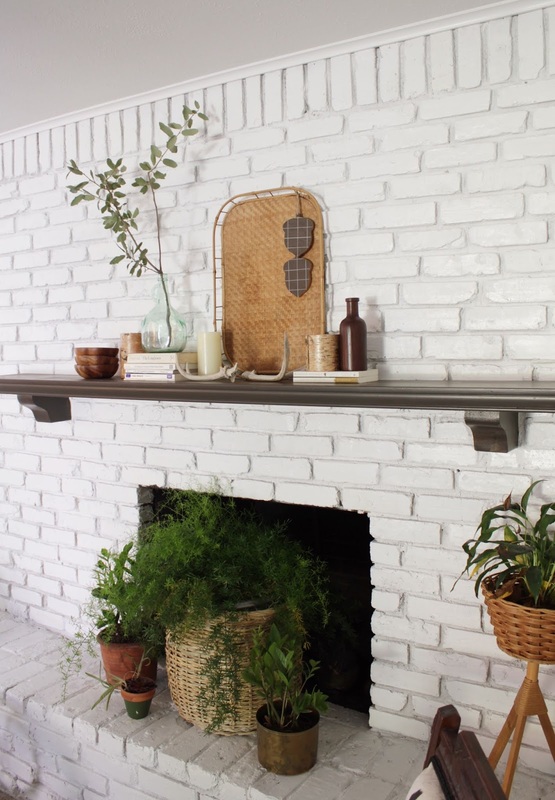 You can head over to their site to read the step by step process AND a cautionary tale even if you decide to paint your fireplace the old fashioned way. PSSSTTT there's a giveaway for a paint sprayer of your very own! The mantel was primed and when I was done I painted it by hand with the SW sealskin. It's a warm brown, almost black. Ahhhhh! I'm so happy to have it light and bright in here. It's been so much fun playing with mantel decor. Our last house didn't have a fireplace. Make sure you head over to read all the details and enter the giveaway! Big thanks to HomeRight for making this project possible.